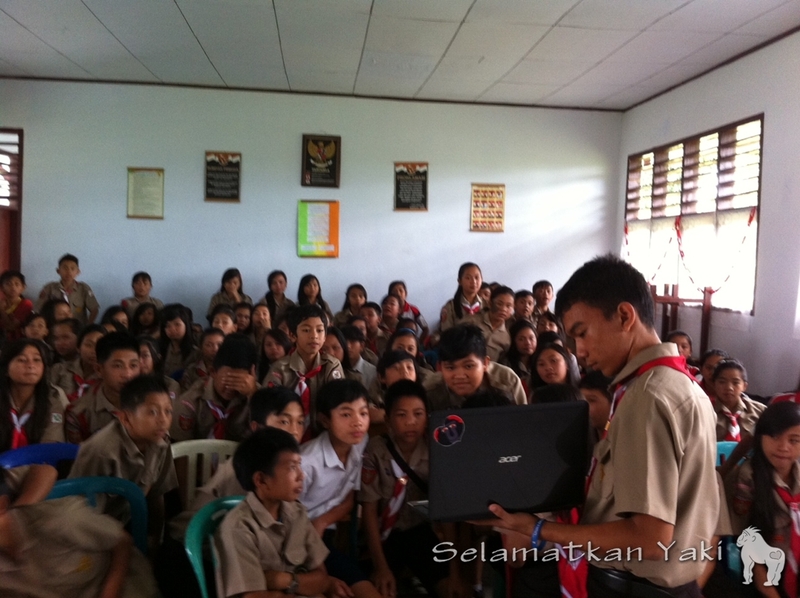 Our Ambassadors talk at junior high schools in Langowan! Early this year we visited high schools all over Langowan and picked a student from each school to be our Yaki Ambassador. 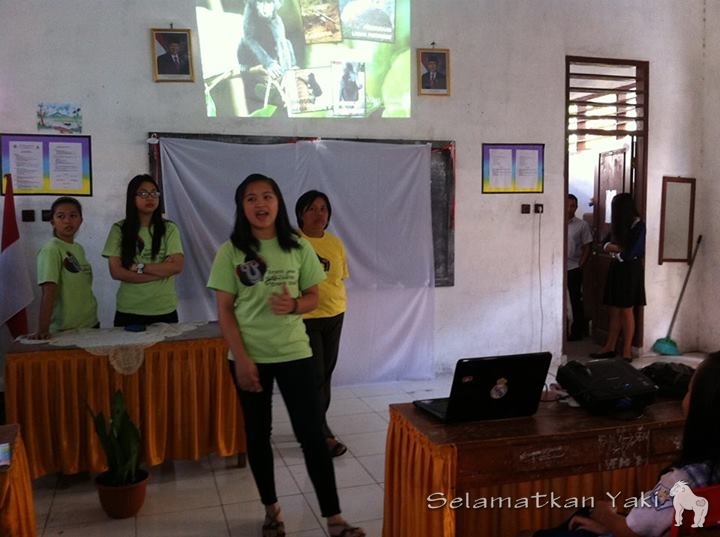 Now, it’s these Ambassadors’ turn to talk in front of their juniors at junior high schools in Langowan and teach them to protect the environment and protect the yaki! Read more about their debut here! Over 800 students at SMP N 1 Langowan! 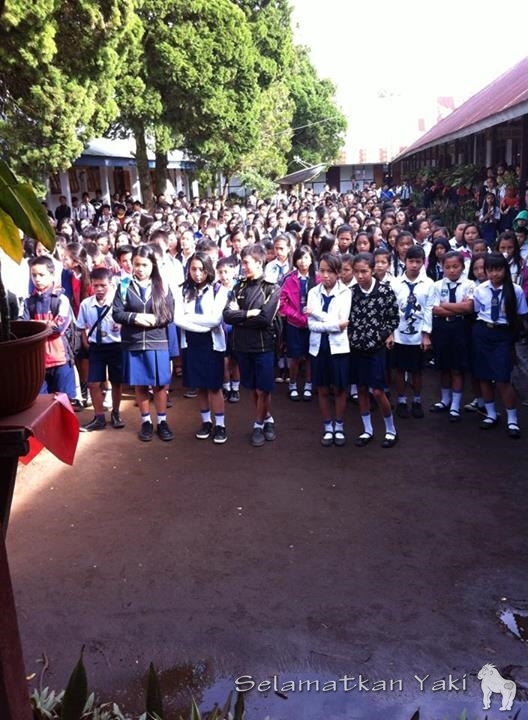 | Lebih dari 800 siswa di SMP N 1 Langowan! 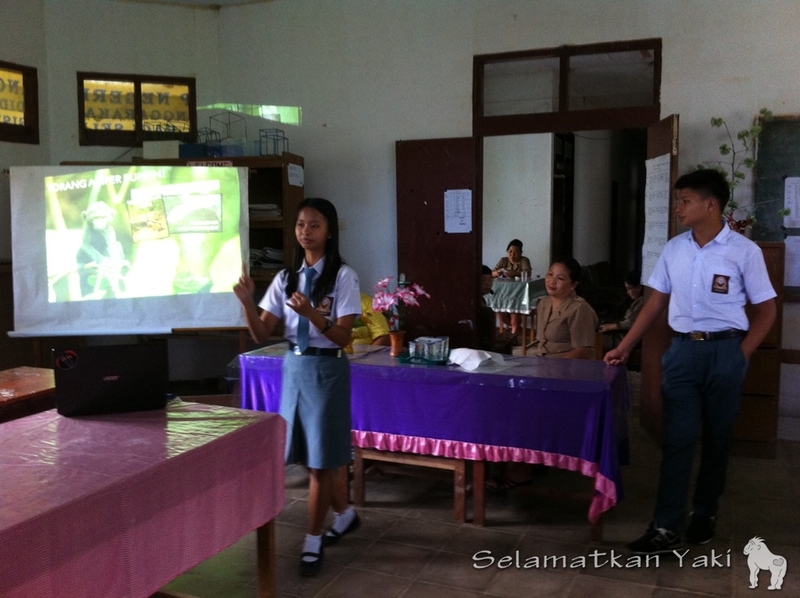 Ira gave the talk at SMP N 4 Atep together with Edo, Yaki Ambassador from Tomohon. |Ira menyampaikan materi di SMP N 4 Atep bersama Edo, Duta Yaki dari Tomohon. Leyfi at SMP N 2 Langowan. | Leyfi di SMP N 2 Langowan. 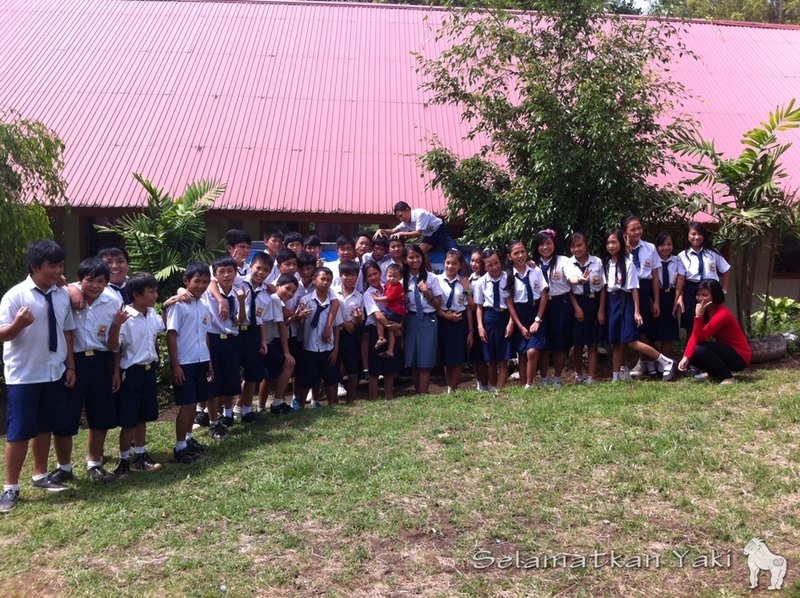 The enthusiastic students from SMP N 9 Langowan. | Para siswa yang bersemangat di SMP N 9 Langowan. Some students at SMP N 2 Langowan also had to stand during the talk. | Di SMP N 2 pun ada siswa mengikuti presentasi sambil berdiri. Ivan giving the talk, laptop in hand. | Ivan menyampaikan materi dengan laptop di tangan. We’re very proud of our Ambassadors in Langowan. In the space of a few months, their public speaking abilities increased noticeably! 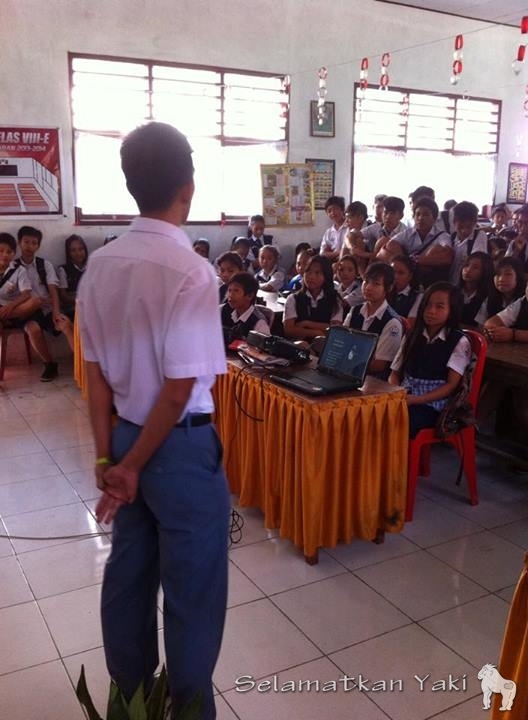 Stay tuned for news about our Ambassadors in Tomohon, who have also given talks at junior high schools in Tomohon! We hope that with more awareness within the young generation about the threats the yaki face, the greater their actions to protect the yaki from extinction!